For Monica Saavedra, Sandra Chavez, and Christine Mills the message to the leaders of United Neighborhood Organization (UNO) is simple, “we want respect and we want transparency.” Saavedra, Chavez, and Mills, who all have children attending UNO Charter Schools, are fighting for their voices to be heard when it comes to the interest of their child’s education, especially amid the transition between UNO Charter School Network and UNO. “It is crazy to me that as parents, as involved as we are in our child’s education, we do not receive the proper information from the executives at UNO,” said Saavedra. “We feel we are not being respected as parents and we need to know everything that goes on between UCSN and UNO because every decision they make affects our children.” To help push for transparency, Saavedra, along with Chavez, and Mills mobilized other parents to form the new independent parent council, called Parent Alliance, a group that intend to meet once a week to discuss pertinent issues that relate to their children’s education as well as use the council as a catalyst to earn a seat on the board. “We are completely independent of UNO,” said Chavez. “They have no say as to how the parent council is run. 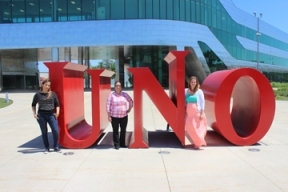 We make all the decisions and we make sure all voices are being heard.” So far, according to all three women, UNO has been supportive of their newly formed council and have not, yet faced opposition. However, in any case they are more than ready to handle resistance should it arise. If you are a parent at UNO Charter Schools and would like to become involved in Parent Alliance, email 1parentalliance@gmail.com. 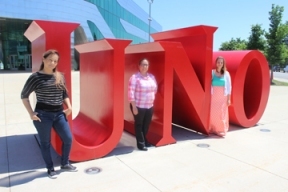 (Left to right): Monica Saavedra, Sandra Chavez, and Christine Mills.